Thinking of selling? List it with 4everSpain. Tips and advice about selling a property in Spain. 6 Ways to know It’s The Right Time to Sell Your Home. Knowing you’re ready to sell isn’t as easy as waking up and deciding to. It’s never going to be the perfect time to move on from your current place; however there are ways to know if it’s a good opportunity, and a good decision, for you, your family, and your finances. • Have you studied the local real estate market? • Are you financially ready? • Are you ready for a change? • Are you emotionally ready? • Has your family outgrown your home? This article is going to go over six ways in which you’ll know you are ready to begin the process of selling your house. Having a plan is the most important part. You’ll want to play out all the outcomes in your head with a lot of ‘what-if’ scenarios so you are prepared for anything. If there’s anything you’ll learn in the process of selling real estate it’s that you should always expect the unexpected. You can’t find a buyer? If you’re prepared for the worst of outcomes you’ll be prepared to handle anything! If your home expires it’s not the end of the world. Have a plan so that if you can’t find your buyer maybe you’ll either find a new realtor, or maybe you’ll test the waters and rent it out? The inspection report comes back with issues? Are you prepared to handle a home inspection? Maybe you’ll want to consider having the home inspected before buyers make an offer and you go under contract? Having additional ammunition before negotiations gives you a great advantage as a seller. It also shows the buyer that you care enough about your home to have it inspected prior to selling. There are many typical issues that arise on a home inspection, so set the proper expectation for the buyers! You have a decent offer the first day on the market? Having a plan will help you understand if it’s the right offer for you. If it’s the first day maybe you’ll want to hold off a day or two. When you sign on with a strong RealEstate Agent to list your house they will be able to assist you in determining the fair market value for your property as well as how to handle this situation. Knowing a number in your own head will help you determine if it’s the right offer. You are in a multiple offer situation? Being in a multiple offer situation is a good thing that can go bad if not handled properly. First you’ll want to be sure that everyone is aware that there is a multiple offer situation. Next you’ll want to set a time deadline for everyone’s final and best offers. It’s a good idea to maintain great communication throughout or it may come back to hurt you. A top Real Estate Agent will not only generate a great offer, they will generate a strong back up as well! You’ve studied the Market, and it’s a good time! When selling your home it’s wise to study the local market. If your neighbour’s home sells in the first few days on market than you know there is a strong desire for a property like yours in that area. In Almeria, we have seen a number of homes come up for sale at astronomical prices simply because the homes next door have sold so quickly. It’s not that surprising that these properties are selling at these prices, though around 50% or so end up sitting or lowering the price. If you have a great grasp on the local market you’ll know if it’s the right time to sell your home. This data will help you determine if it’s a good time to sell. Once you’ve looked at the factors outside of your control, you’ll want to go over the factors that are within your control. If you’ve owned your home for a long time and paid down your mortgage you should have some great equity built in. Maybe you were a first time home buyer and you’re looking to upgrade or an empty nester that’s looking to downsize. Having a strong understanding of your financial position will help you understand if it’s a good time for you to sell. It will also help you develop a plan after the sale, and where you’ll be able to go next. Knowing what you will net on the sale of your home will help you understand what you can afford to do financially. You’ll want to find a home seller net sheet so you understand what you will owe the bank and any other charges that will go into the sale of your house. When you understand your finances it’ll allow you to determine if it’s the right time to sell, or if you should save up for another year or so. At 4everspain, one of the ways in which we help owners sell their homes for more money is with home improvements that add value. Change can be a good thing. There are many reasons you may want or need a change – whether it’s because you’ve outgrown your current place or are ready for a new location, there’s an abundance of reasons why it may be time to move on. Let’s talk about a few common reasons things change for people. One of common reasons people sell their home is because they’re looking for a change of scenery, or they’re moving for an outside factor. It may be a job transfer that causes you to sell your home, or are simply looking for somewhere a new location to move. On average, people in the Spain move every five to seven years and it’s for a variety of different reasons. If you’re looking for a change of scenery than you’ll want to be sure you’re committed to the change before deciding if it’s time to sell your home. If you’re on the fence about it, then it’s probably the wrong time for you to list your home for sale. However, if you decide you’re one hundred percent ready to make a move than go for it! Sometimes people don’t have a choice in the matter because it’s a job transfer or they’re moving for other reasons that are outside of their control. This means that whether or not it’s the right time to sell you probably have no other choice. If this is the case you’ll want to be sure you have a plan, are financially ready, and you’re not emotionally attached to your home and area. It’s tough working with a seller who is still emotionally invested in their home and that makes it even harder for your home to sell. You don’t have to remove the sentimental value from your home in order to sell it, just don’t allow it to influence your decision making process. If it does than you may not be ready, which is ok! Being one hundred percent committed to the sale of your home is important before you undergo the process. Once you close, there’s no going back. That home no longer belongs to you, it belongs to someone else. Make sure you can handle that before moving on to the next phase of the sale. You’ll be moving to an exciting new chapter of life when you transition! There are common reasons someone who isn’t emotionally detached will still have to sell their home and this can pose a lot of challenges for both the seller and the Realtor. Have a good understanding of how you feel about the sale of your home and be open with your Real Estate Agent about them. Outgrowing your house is typical for first time buyers, and young families. It’s time to find a home that can fit everyone. If your family is growing, there is a good chance you want to sell your house, and find a new one with more space. Outgrowing a home is a natural progression in life. It doesn’t necessarily mean it’s the right time to sell your home. You’ll need to have a plan, understand the local market trends, as well as be sure you’re financially ready to make the transition from your current house into a new home. There’s a lot that goes into real estate sales. You’ll want to be sure you have set aside time, finances, and you have a plan. If you’re worried that it may not be the right time sell than you’re probably right. You’ll know it when the time comes. When it does, consult with local professionals who can help you to understand your options and don’t necessarily hire the first Realtor you interview. There are a lot of Realtors in the world and not all are created equal. Understand their marketing, selling, and how they generate buyer leads for your property. Selling your home for the most money involves working with a great Real Estate Agent, as well as setting the stage right so that when buyers view your property they fall in love. While you may be emotionally detached from the house, you want the buyers to be able to envision themselves living in the home. Paint the home with neutral colours and remove the ‘personal items’. You can move your personal items into a storage unit which will help open more room in your home for buyers to visualize. Settling your financial obligations is a great tip because you want to make sure you don’t have negative equity in your house and not find out until it’s too late. Chat with a lender as well to know whether or not you’ll be able to secure a new mortgage, as well as where your credit score stands. These are six tips for owners that are deciding whether or not to list their home for sale to help determine if it’s the correct time! 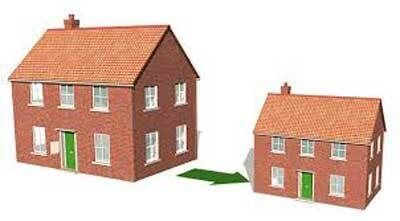 Is It Time to Downsize your Home? Ask Yourself These 4 Questions First. When is the right time to “right size” to a home that’s better suited to your needs? Well, if you’re in the 60+ crowd (or have a parent in that demographic), there are plenty of things that can go into that decision. Maybe you’re finding yourself in a (more or less) empty nest. Maybe you want to (finally!) get serious about retirement planning. Maybe all that maintenance on your current home is more than you can or want to handle. Or, heck, maybe you just want to simplify your life. Of course, getting older doesn’t mean you have to slow down or compromise on the lifestyle you want. It just means you have to make informed, calculated decisions on how best to achieve it. And that’s especially true when it comes to home ownership. Most people come to Southern Spain for the warmer weather and cheaper cost of living. Also it’s the first move for retirees looking to enjoy their freedom, so they come down to Spain to find active adult communities where they meet like-minded people that they can befriend easily. If you’re planning to retire soon or have already entered those coveted golden years, you’ll likely be on a fixed income. Downsizing might net you a decent profit, especially if the home you’re buying next costs considerably less than the one you’re selling. Consider other expenses as you age: medical bills, health and life insurance, travel, estate planning, final expenses, and home maintenance. The common rule of thumb: Spend no more than 30% of your monthly income on housing. But in theory, it should be a lot less if you’re downsizing. Most of the inquiries 4everspain receives are from retirees from the UK who are looking to relocate to the Spain. A majority of those downsizing buyers have a winning hand in bidding wars since they walked away with a profit on the sale of their old home. They have the funds and solid credit history to pay all cash or provide a large down payment. After you’ve answered these questions and feel confident about making your next move, find a Real Estate Agent who can help you determine what your current home is worth. Let Your House Be Show Ready and Then Leave. 4everspain would like to share a useful tip when listing your home for sale. We know as Real Estate Agents how important it is to be Show Ready when viewing homes. As Sellers you should have your house clutter free, clean, light and bright. First impressions are important and Buyers remember things about a house that you may not even realize. We recommend that a homeowner not to be home during your showings. When a Seller remains present and in sight, buyers may feel uncomfortable. It may be a hassle to your normal routine, but if possible, you shouldn’t stay around. A motivated Seller should appreciate that flexibility is important when selling your property. As Real Estate Agents we know it can be uncomfortable for the Buyers, the Showing Agent and the Sellers if they have to walk around the house whispering their comments. They may want to stay in a certain room longer and picture themselves living there, and don’t want to feel rushed or pressured that the Seller is wondering what they are doing or what they are thinking. The Buyers may not feel free to ask questions and comment while taking the tour. Need Help Selling A Property. You can’t change the location, no matter what you do, you can’t change the location. However, you can fix the condition, as well as adjusting the price and terms to make your property more attractive to buyers. Understanding the type and kind of market will help you and us establish the price and terms when you’re ready to sell. Buyers’ market – property stays on the market longer than average, prices are dropping, and there is a large supply of properties. Sellers market – property sells quicker than average, multiple offers received, prices are rising and property is scarce. Understanding when property typically sells will help you understand the patterns of buyers and the availability of buyers during a particular market will help you and us (4everspain.com) establish the price and terms of your property. The most regular buying pattern is seasonal, buyers are most keen to purchase in Spring (March – June) and complete by the Summer (June – August). Then the buying trend lessens as people take holidays. Once the winter (November – February) approaches, buyers are scarce as people prepare for the cold winter months ahead. Historically, it is typical for a property to be on the market for between 4 – 13 weeks. If this seems like a long time remember that on average, buyers spend four months conducting their home search – albeit in another country. What type of buyer is most likely to purchase your property?, most probably someone whose present circumstance is very similar to yours when you bought the property. Perhaps people who now that the families have grown up and their jobs no longer tie them to a cold and wet climate are considering retiring to a sunny environment or maybe younger people searching for a second home to use for holidays. Condition of the property, there are most likely some repairs that are necessary, be it cleaning (the overall appearance of the place – clutter everywhere), repairs (toilets not flushing properly or taps leaking) and improvements (removing and replacing outdated fixtures – kitchens). The aim is to make the property appealing and attractive to potential buyers. Make the property spotless, smell fresh and feel really clean so that it draws and captivates the attention of potential buyers. The better the condition your property is in, the more likely you are of getting a higher price. Also, the selling process will go more quickly and smoothly. Pricing – fair market value, drive around your immediate area, what kind of condition is it in? . Are the housing developments increasing or are the properties stagnating, is the landscaping well kept or are there weeds growing everywhere?. Is the area desirable?, are people moving in or from your area?. Consider the national economy, is the exchange rate strong or weak?. If you must sell immediately, the selling price might have to be reduced if the exchange rate is weak. If you can, you may want to hold onto the property to reduce any potential loss. Finally, be realistic about the asking price. All to often we feel that the property is worth more than the market can support. It’s probable that your asking price will be different than what you and the buyer finally agree upon. If your asking price is to high then potential buyers might well believe that you have priced your property emotionally and not intelligently. Don’t be to anxious to make the asking price, chances are that it was too high in the first place. However, keep in mind, to many potential buyers properties are attractive because buyers believe that they may well have found a bargain. Price and terms – not just price! You should be aware that when buyers and sellers simply worry about the final sale price, the deal invariably fails. The final sale price is very important, but so is the value the buyer is getting from the sale of your property. For instance, you may well have planned to take all your furniture with you to your next home. However, it maybe that your buyer can’t afford to fully furnish the property after completion – you may be able to seal the deal by including some items of furniture in the deal. That’s price and terms. The key to selling your home is to have buyers know that it’s for sale. We really bring the buyers to you. You Are Selling a House, Not a Home. Selling your home is an emotional process. But you need to keep in mind that you are selling a house, not your home. Here’s why. You have lived in your house for some time, and have lots of memories. There is an emotional attachment to it. It’s your home! But you have now decided to buy a new property for your home. Now it’s time to sell so you can settle into your new place. Your home is something you created, loved and cherished, and you’ll do it again. But it’s important to keep in mind that you are selling a house, not your home. It will be much easier to prepare your house for showings and have it looks its best for prospective buyers if you keep this in mind. It’s time to remove the personal trappings of your home that you live with every day – personal photos and collectibles, for example – that will distract buyers from seeing your house as a place where they would like to live and create their home. Your emotions about your home can get in your way of being practical about how the house looks and lives for buyers. Yes, it would be nice to continue living your life as you normally do, with all the things to love and cherish in place. But buyers won’t appreciate all that the same way you do – it’s your home, not theirs. They want to see a house that works for their needs so they can create their own new home. Oh, they might like the paint colours, and the little personal touches you’ve added to make it yours, but then again they may not. That’s when you might lose a buyer who could otherwise see themselves buying your house. Or they’ll decide the house is worth a lot less because they don’t like how it looks and worry about all they have to do to make it theirs. And you know what? You will do the exact same thing when you are looking for a new house to make home! So do yourself a favour and remember you are selling a house. You’ll take your home and your memories elsewhere and leave your house behind for someone else to create their new home. Seek professional opinion when setting asking price for home. A real estate professional can obtain information about listing/selling prices and other attributes of the homes that have sold recently in your neighbourhood. My house has been on the market for a month and we’ve had limited interest. How can I know if it’s listed for a fair price? In the current red-hot housing market, particularly in Almeria and Murcia, examples of homes selling quickly for the asking price and more are reported daily in the media. Because of that, sellers often expect their home to sell in just a few weeks or even days. When that doesn’t happen, worry and doubt may start to set in. It’s natural to have an emotional attachment to your home, but this can cloud your objectivity in determining its market value — that is, what someone else will pay for it. You may have information about what a neighbouring property sold for, but this is of limited use unless you are intimately familiar with the facts and history of that property, inside and out. For example, has there been extensive renovations, past water damage, a new roof, an extra bedroom? The list price is your decision, but for the reasons just given, it’s wise to seek professional assistance when determining that price. A real estate professional can obtain detailed information about the listing price, selling price and other attributes of the homes that have sold recently in your neighbourhood, and that information can be very useful. More importantly, a professional can help to interpret what all of that information means for you. The limited interest in your home may be a function of more than just the price. A real estate agent can get feedback from those who have viewed the property. They can help figure out if the price is the real issue, or whether there are other factors, like the décor, the need for repairs, the landscaping, or the age of your home’s major systems, such as the electrical, plumbing or roof. You should know that not all real estate professionals will have the same level of knowledge and experience to express opinions or give advice about the valuation of real estate. So be sure to ask questions of prospective agents regarding their abilities in this area before you enter into a listing agreement. You should also be aware that there are some differences between a Market Value Assessment (MVA) or Comparative Market Analysis (CMA) done by a real estate agent, and a formal appraisal by a qualified appraiser. The MVA and CMA are intended to help you set your listing price. The real estate agent is working on your behalf, in your best interests, and wants to help you to get top price for your home. But, any advice about setting the list price will also reflect your needs and priorities, as communicated by you to your professional. Appraisers are often used by mortgage lenders to determine value for mortgage purposes, regardless of the price that is asked or paid. Some of the differences between an appraisal and other estimates of value can be, for example, in the level of detail, the sources of information used and the methods used in determining the estimate of value. In short, if your home is unusual in some way or there hasn’t been a lot of sales activity in your area for comparison purposes, it may be wise to talk to your sales agent about getting a formal appraisal. You can then work with your sales agent to set a listing price that will hopefully be more attractive in the marketplace. 6 Reasons Your Home is Not Selling. All sellers have the expectation their home will sell quickly and they will net expected price for it. While these goals are attainable, sometimes homes sit on the market much longer than expected. No one wants their home to languish on the market or become an expired listing so it is important that sellers avoid certain pitfalls to give their property its best opportunity to sell. If your home is already on the local market, and activity is sparse, here are 6 reasons why your home is not selling. Nothing scares buyers away quicker than a seller who has overpriced their home. While everyone looks for a deal, most buyers understand they will have to pay fair market value for homes. As a seller, what you have to remember is, your love nest is only worth what someone else is willing to pay for it! If your home has not received any offers, and showings have tapered off after the initial blitz, chances are your home is priced too high for the market. If your agent let you set the price (how is that working out for you?) or they did not do their homework and overpriced it themselves, you need to have a serious discussion about re-pricing your home. Make sure that discussion includes statistics by your agent showing recent comparable sales (and expired listings) in your area to give you an idea how the market is performing. There are times when life takes over and you just do not have the time or resources to take care of home maintenance. It happens to many homeowners. The thing you cannot let happen is to try and defer the maintenance completely, expecting buyers to take on those tasks. In a competitive market, your home will quickly get the once-over and consumers will move on to homes that do not require any work be performed. If time is short, hire someone to take on the handy-man duties to keep your home looking its best. If funds are not available, perhaps a home equity loan, favour swap, or family/friend assistance is an option that will work. You want your home to give a great first impression, help it do that by ensuring all maintenance items are resolved before listing the home. Having a pre-listing inspection can help identify areas of concern and will give you time to assess where you need to concentrate your efforts. You can bet buyers will be coming through looking with a critical eye looking for issues…make sure they do not find anything wrong worth thinking twice about. One of the most important things buyers can do when they walk through your door is visualize themselves and their belongings in the home. If they do that your home is typically on its way to making their short list. One of the best ways to ensure that does not happen is to make sure your home is too cluttered. While some buyers can look past your belongings or messiness, the reality is that many cannot. The bottom line is that a clutter-free home typically shows better! If you have too much “stuff”, give away, sell, or store as much as you possibly can. An uncluttered room/home looks bigger, shows better, and gives buyers a more clear idea of how their possessions will look and fit in the home. A few simple things you can do include ensuring counter-tops are clear of items, your closets are neat and tidy, oversized and/or excessive furniture is kept to a minimum, and the garden and garage space are free of debris and junk. Trust me; no buyer wants you hovering while they are looking at your home. You trying to show them all the features, upgrades, or cool stuff will almost always get them to speed up their viewing and get out of the home as quickly as possible. Buyers like to look at their own pace without hearing a sales pitch and they never want to feel pressured. Also, you may say too much. The buyer’s agent is a professional and will pick up on small details that may give their buyer an edge when negotiating. Mentioning money issues, moving away, family changes, repairs you made, etc. can all have an adverse effect on how much you are able to sell your home for. Your best option is always to make sure you are not at home during showings. You can always ask for feedback later. Nothing cries “this home will cost me money” to buyers quicker than walking into a home that is a blast from the past. If your home has floor-to-ceiling wallpaper, shag or brightly coloured carpet, panelling, old appliances, etc. it will be very difficult for buyers to look past those things and picture themselves in the home. Unless they are looking for a project, most buyers want a move-in ready home, not one that requires a lot of upgrades (expensive or not). Occasionally, taking care of minor things like painting rooms, replacing lights/switches/handles, and refreshing cabinets will give your home a fresh appearance that looks inviting to new buyers. Other times, you may need to consider doing major upgrades like new flooring, counter-tops, or appliances to pique the interest of consumers. It is easy to get swayed by a likable agent who says the right things and quickly agrees to list for whatever price you want. 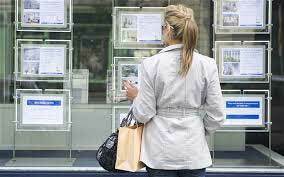 A better option is to take your time and research each agent thoroughly (including asking family/friends their opinion). With over 92% of buyers (according to the National Association of Realtors) starting their home search online, the agent you choose should have a varied and robust online marketing plan to include blogging, video, and social media. If you cannot find what they offer online you can bet buyers will not be able to find your home when they start searching online for properties to visit. The agent you choose should be able to back up the price they want to list your home for with comparable recent sales. This will show you the price range your home is most likely to sell in. If they are unprepared, cannot adequately answer questions, and do not have a solid price in mind, you may not get quality service during the listing period. You want your agent doing everything in their power to get your home seen and sold. The days of “effective marketing” by putting a sign in the yard, posting in the local real estate book, and having an open house every weekend are long gone. Those methods are archaic and are not effective marketing solutions on their own to help your home get found by new buyers. If you identified with any of the 6 reasons your home is not selling listed above, do not despair as there is still time to correct the issue and get your home under contract and on its way to a closing. Why Hiring a Real Estate Agent Is the Best Way to Sell Your House in Spain. 1. Experience – Hire the team with more experience than you have in Real Estate. If you live in Almeria or Murcia, hire 4everspain who have listed and sold in both provinces. 2. Neighbourhood Knowledge – Real Estate Agents know the comparable, how long a home has been on the market and even the time it took to sell. Don’t rely on unreliable sources that are scattered around the internet. Many times, the information is not correct or might be dated information. A Real Estate Agent can research this information with more up-to-date data. 3. Pricing – A Real Estate Agent can guide you with the right price based on supply and demand. They don’t just give you any price you want to hear. They study the market first and give you an informed decision. 4. Professional Networking – You can’t network with other Realtors that will get more exposure for your house. Networking with a wide range of Professionals in Almeria and Murcia and also with other professionals around the country is what you should look for in a Real Estate Agent. 5. Negotiation Skills – Can you negotiate your own sale? Probably not as good as a Real Estate Agent. 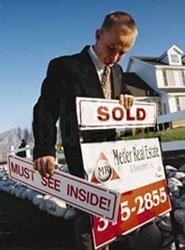 The right Real Estate Agent can negotiate with either the Buyer or Seller or both. 6. Available During the Whole Process and Beyond – If a conflict arises, can you work through the details? A Real Estate Agent should be working with you throughout the process. They don’t stop working when your house is sold. They follow through until you receive your keys and beyond. 7. Tech Savvy – Can you get your house promoted? A Real Estate Agents who uses the latest technology to get your house sold and is very visible on the internet, will market your house to get you to the closing table. 8. Multiple Listing Service – Your Real Estate Agent should include you on the MLS but also other available sources. The top internet portals and syndicated sites locally, nationally and internationally. 9. Security – With A Professional Real Estate Agent, you won’t be showing your home alone with strangers and having your phone number listed. We use our cell numbers so none of your private information is available to buyers. 10. Qualified: Can you qualify a buyer or know if they are qualified? A Real Estate Agent should have contacts to get your buyers pre-approved before accepting an offer. Real Estate Agents work with many professionals who can get your buyer’s pre-approved for a mortgage and make sure they are credit worthy. Ten changes to help sell your home. For most people, moving up the property ladder to your next dream home means selling the house you’re living in at the moment – and it’s surprising how much difference even small changes can make when it comes to getting the price your home deserves. First impressions count, whether you’re meeting someone for the first time or eyeing up a new home. And that means time or money spent sprucing up your home’s ‘kerb appeal’ is rarely wasted. Top tips include tidying up and repainting the front door, putting potted plants or hanging baskets on either side, fixing outside lights and clearing pathways. And don’t let that first impression slip on opening the front door. Clear up hallways, and substitute untidy coats and shoes with a homely bench or flowers. Few buyer have qualms about snooping in cupboards to check out your home’s storage capacity. To increase the impression of space, have a good clear out and transfer half the stuff from your closets and built-in wardrobes into storage. Then neatly fold and arrange what’s left. A good garden makeover can add between 5 and 10 percent to a house’s value, according to Sarah Beeny’s online estate agent Tepilo. Make low-maintenance your mantra, since most buyers don’t want to imagine a weekend spent keeping up appearances outdoors. Don’t overstock flowerbeds with exotic flowers; instead go for good-looking indigenous plants that require less care. Put in some herb beds: beautiful, practical and great-smelling. And remember that a good lawn is always a winner, especially if prospective buyers are likely to have a young family. As you update fixings and fittings, remember to always err on the neutral side. Buyers want a blank canvas not a Jackson Pollock. That means plenty of creams, magnolias, white gloss and biscuit carpets. Repaint any bright, brash colours and strip garish wallpaper. It’s important to be as plain as possible so you’re not relying on second-guessing someone else’s taste. After a good location, natural light usually comes near the top of most buyer’s priority lists – and it often only requires a few small changes to increase the supply of it. Taking down heavy curtains and cleaning windows will help your home feel naturally bright and cheery, as will cutting back any bushes or trees that block sunshine from your windows. Subtle use of artificial light can help too: try increasing the wattage of your light bulbs and changing any heavy lampshades. According to the HomeOwners Alliance, buyers tend to overestimate the costs of putting in new carpets, wallpaper and curtains so adding new ones makes people more willing to pay closer attention to your asking price1. Try a fresh coat of paint on the walls, replace curtains, get new door handles and fix leaky taps, broken tiles and dirty grout as well. You may love your cats and dogs – but there’s no guarantee that potential buyers will. Bowls of food, smelly litter boxes and pet hairs give the impression that your home is unclean, however unjust that might seem. A viewing is a good time for somebody to take the dog for a walk. If you have several viewings in a week, then you might want to consider sending your pets to stay with a friend. If your house is crammed with personal items, potential buyers struggle to imagine themselves living there. Try to put a third of your stuff in storage, including family photos, posters, memorabilia, ornaments and any personal keepsakes strewn over surfaces. Property experts have long known that aromas of baking bread and freshly brewed coffee make a space feel more homely. Stick a loaf in the oven or brew up a cafetiere before viewers arrive, and you’ll be helping to convince them that yours is the house they want to live in. If there’s a chill outside, consider lighting any stoves or open fires and burning pinecones for their warming scent. If your home is a new build, you might want to use different smells. A recent study by the luxury housebuilder Millgate found that the scent of white tea and fig boosted sales of its properties dramatically. With the amount of attention that buyers pay to it, you could argue that you’re not actually selling your house – you’re selling your kitchen. So if you’re going to spend on anything, make it this room. The priority should be a smart, new design and an efficient work area including new countertops and easy access to the three points of the kitchen triangle: the sink, fridge and cooker. Property expert Phil Spencer reckons that, if you get the kitchen right, you could add 4.6 per cent to your house’s value.